While the news of Cyberpunk 2077 being playable from start to finish sound great, it is not what you think right now. CD Projekt Red have merely stated the game is now entirely in a playable state, but a lot of development still remains. Seeing that Cyberpunk 2077 is playable from start to finish, only to be immediately shot down because the release date isn't even close yet may be an emotional rollercoaster, but it's still great news. It pretty much confirms that CD Projekt Red now only need to wrap up polishing and optimisation, but safer and slightly more accurate release window predictions can now actually take place. While 2019 is still highly optimistic, it is not impossible as there aren't currently many AAA titles announced for the later parts of the year which would allow CD Projekt Red to scoop an unprecedented number of sales thanks to hype and their reputation after The Witcher 3. Then again, the game still doesn't have all the assets in place and bug fixes as well as playtesting is yet to come according to Richard Borzymowski, who revealed that the game is playable from start to finish in the first place. 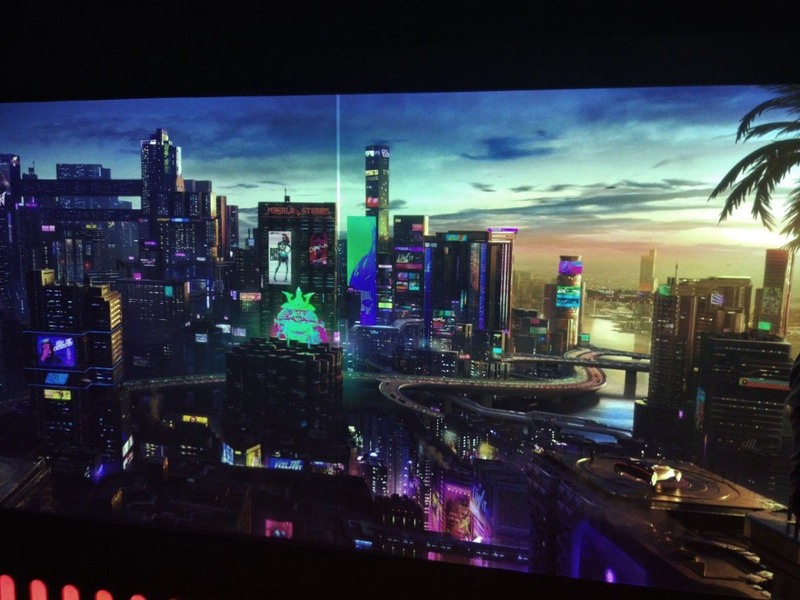 The statement came from Cyberpunk 2077's Gamescom booth which also showcased the gameplay demo that was previously shown behind closed doors on E3 2018. This likely means that a wider audience will be getting a look at the demo in the near future as the first screenshots have already been posted on Cyberpunk 2077 Twitter. The new demo also included a small bit that wasn't present at E3 - Night City during the night, which is something fans wanted to see ever since the trailer. Many complained that it should have been shot during the night, and considering how beautiful the city looks in that setting, I'm inclined to agree.